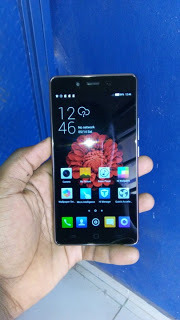 After complaints by many on Tecno L8 launched few days ago because it came with only 1GB RAM but having other features being intact, as it was embedded with a battery capacity of 5050mAh.Tecno decided to do something fast thereby launching a new brand phone to correct such in order for them not to loose their customer's faith in their products. Isn't that great? They responded by launching a new mobile product called Tecno L8 Plus. This newly launched device by nameTecno L8 plus has almost the same specifications and features with Tecno L8, the previous that came out. Some of they features are 5.5 inches display, same battery capacity that can last very long 5050mAh, its Processor Type is Quad-core 1.3 GHz Mediatek. They both also runs the same operating system which is denoted as Android 5.1 lollipop. In all, the difference between the both device is just the RAM, as Tecno L8 Plus has 2gb RAM while the predecessor Tecno L8 (1GB RAM). The device is now completed for all to enjoy referring specifically to Tecno L8 Plus. The question now becomes, will you rock the device? 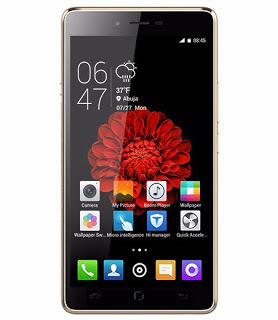 Check below for the full specs and Price of the new product launched directly from Tecno Manufacturing Company. Where can I Buy Tecno L8 And L8 Plus device from? Check on konga online store for that by clicking here. What say do you have for the above newly launched device?